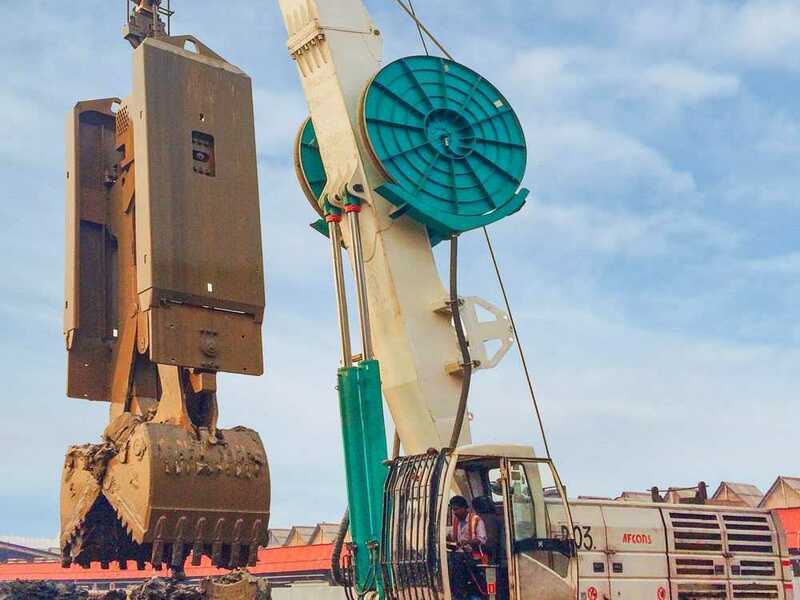 The heavy weight and high clamping force of the hydraulic bucket, allows you to successfully build diaphragm walls even in difﬁcult ground conditions. 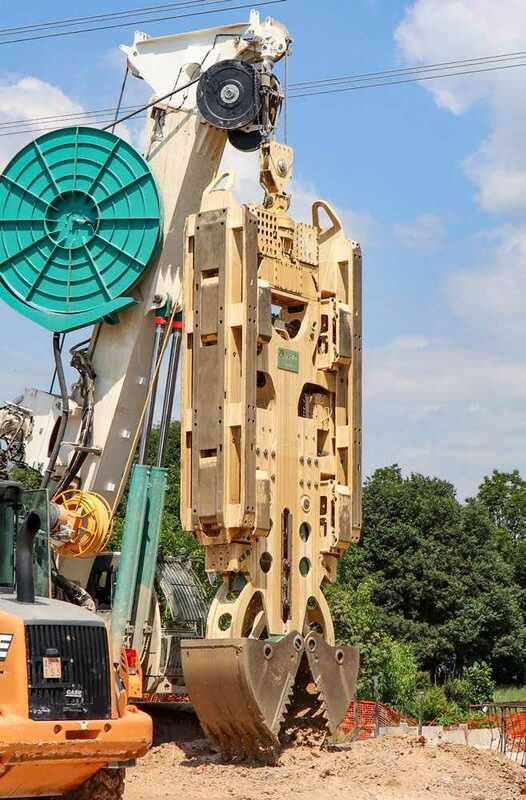 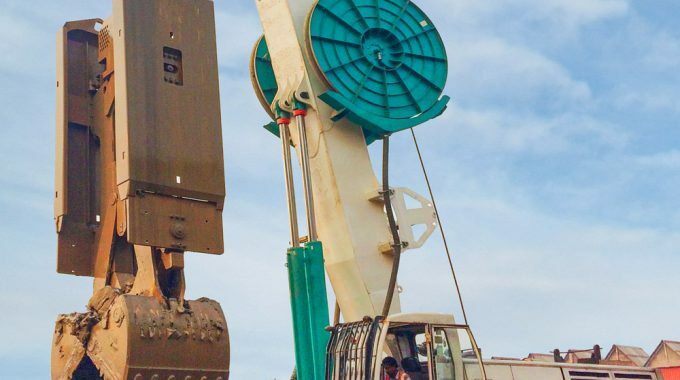 Casagrande offers a broad selection of diaphragm wall grabs for Casagrande base carrier or on hydraulic cranes. 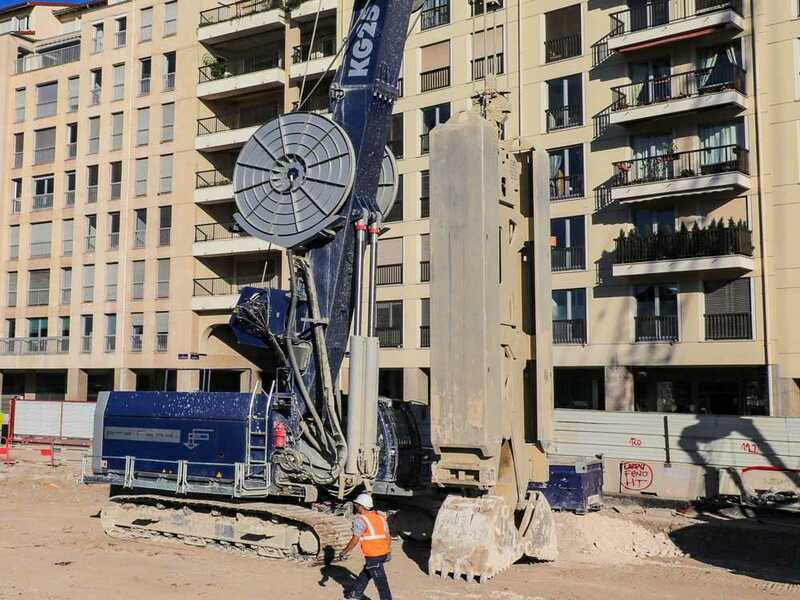 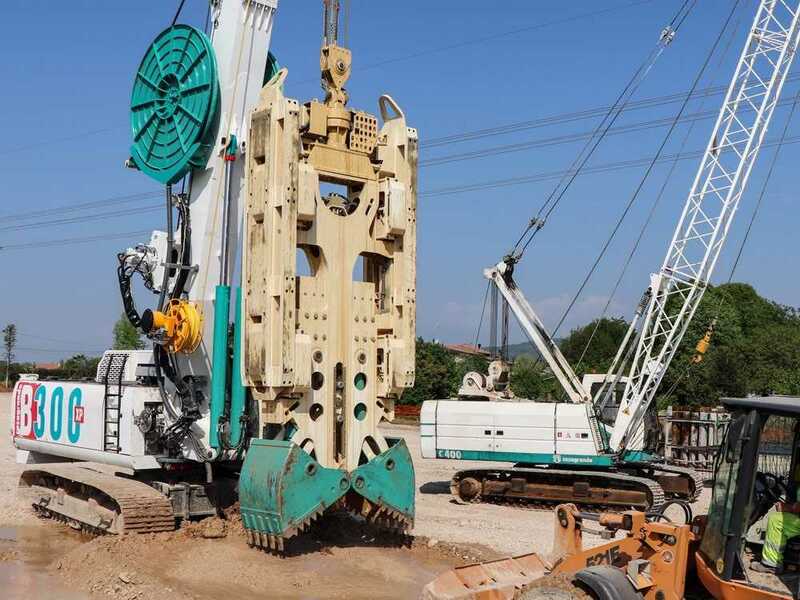 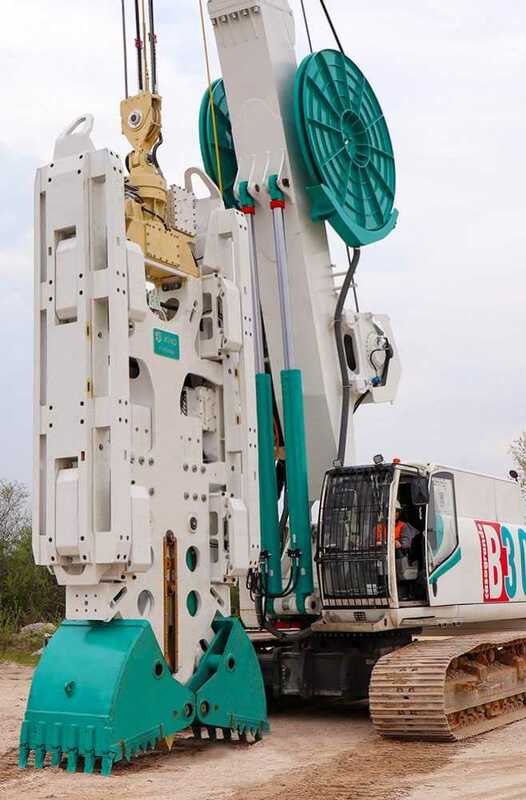 sets With side guides and jaws the digging opening can be extended from 2500 mm to 3200 mm on the KHD25 grab and from 2800 to 4000 mm on the KHD28 grab. 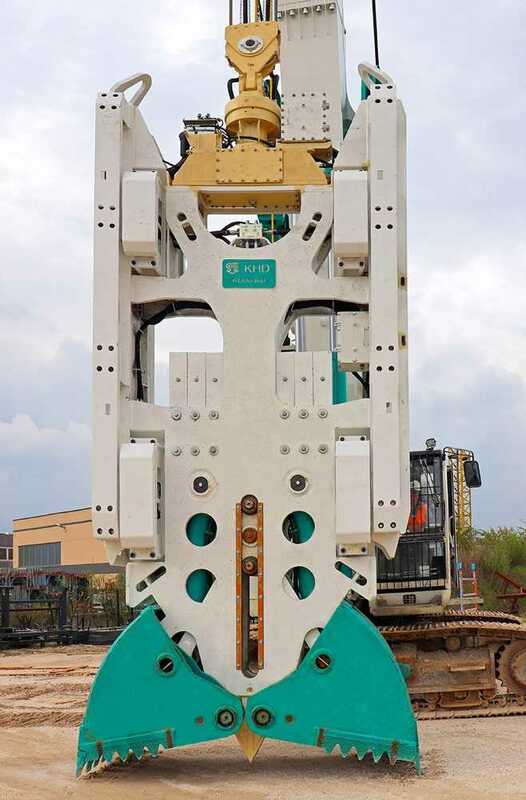 The additional modular weight increases the impact energy of the grab in hard soil and rock. 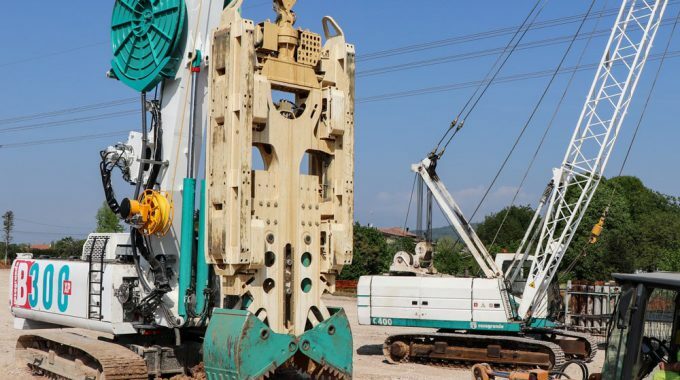 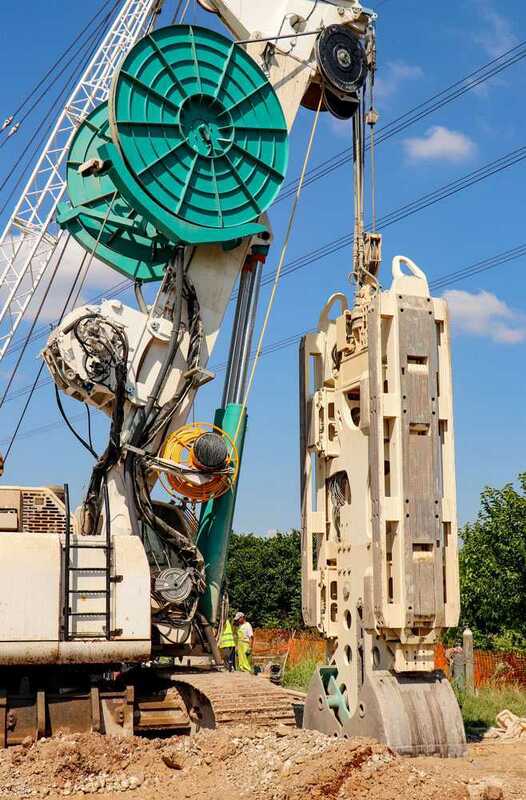 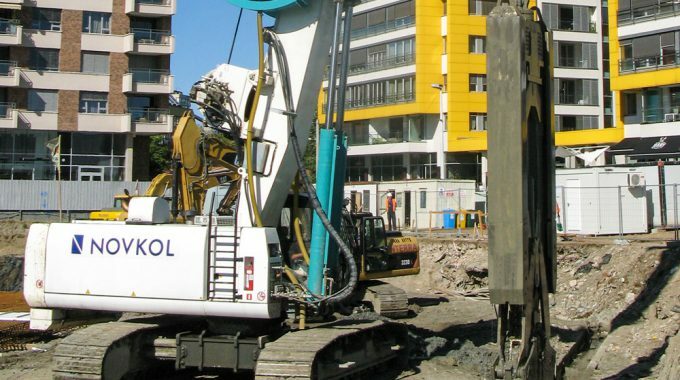 Two hydraulic cylinders and the jaws balancing guide ensure fast and effective excavation. 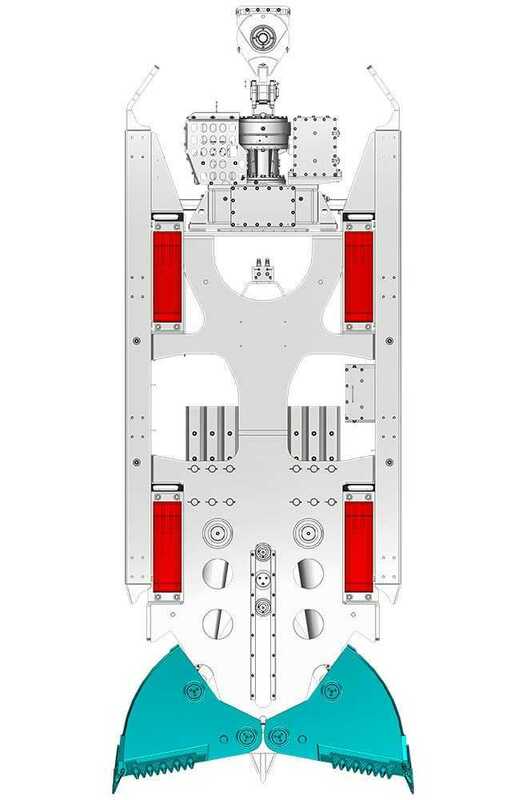 Wear sharp for high penetration and center rib for great strength. 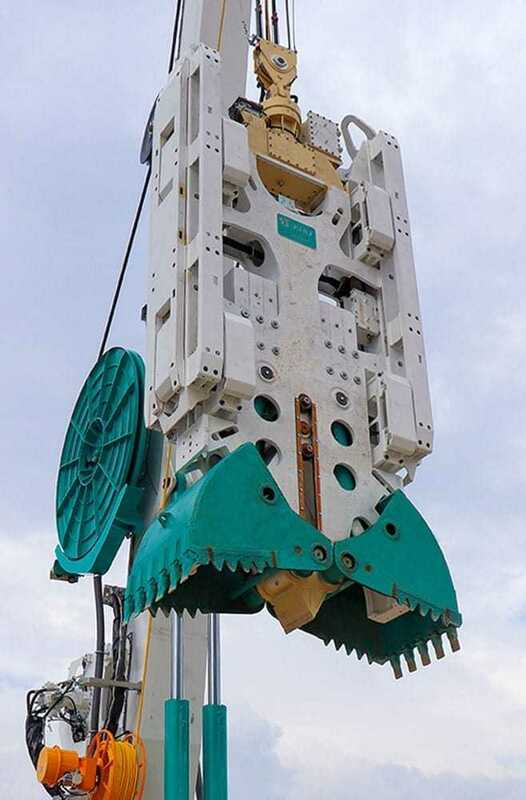 Hammerless tooth system featuring for simply preplacement and integrated locking device for higher safety. 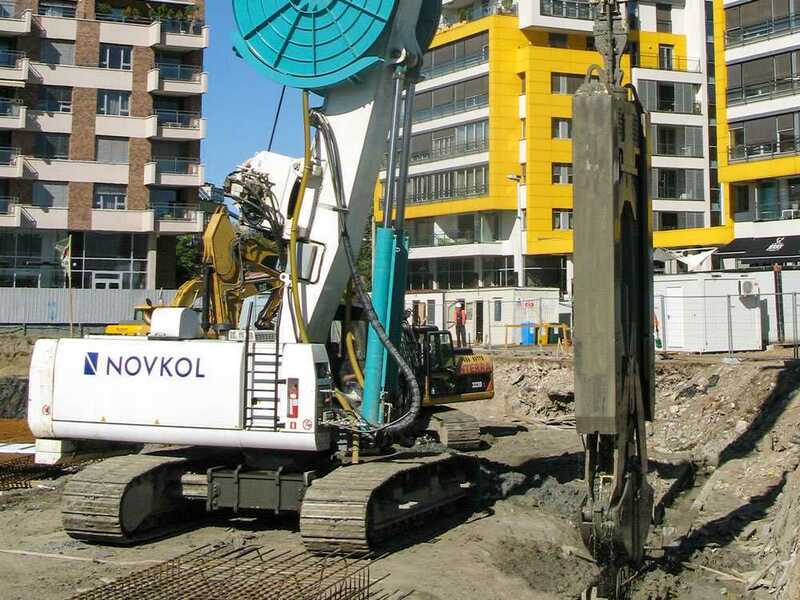 The chisel is integrated into the main body of the grab and provides more effi cient excavation. 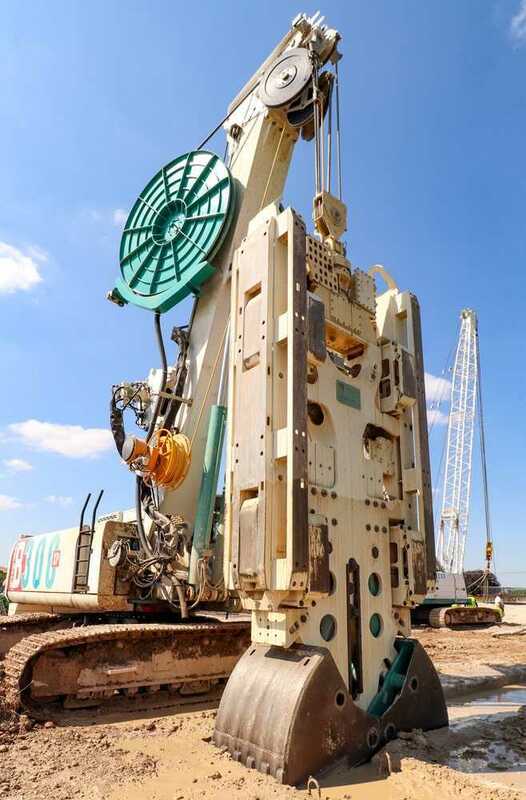 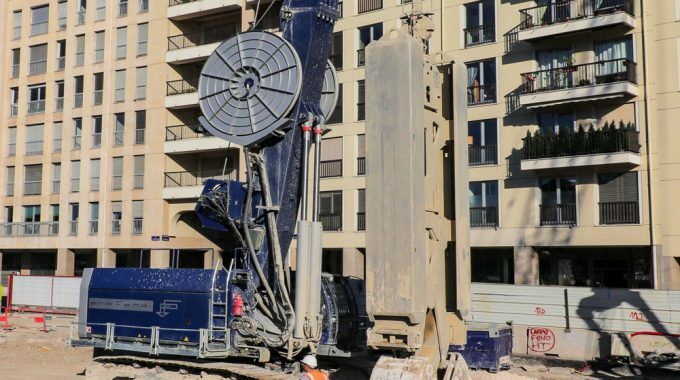 Large side ejectors ensure complete emptying of the excavation material.